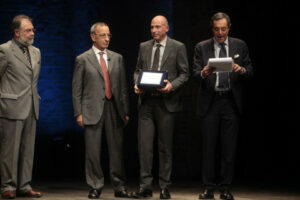 EXCELSA 2012 – Confindustria Ravenna Awards- to Dosi Baruffaldi Primac - Baruffaldi Plastic Technology S.r.l. 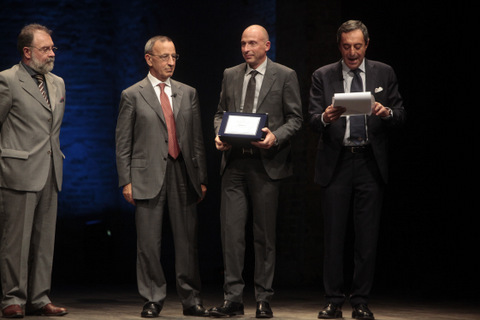 Alberto Dosi, the owner of Dosi Costruzioni Meccaniche, was at the Rasi Theatre in the provincial capital of Ravenna on 4th October to see his company take the prestigious “Excelsa 2012” award for business excellence in the province. The Dosi Company, which took part with other companies of the group, Baruffaldi Plastic Technology and Primac, was awarded the prize for the “Internationalisation” category. Among the justifications for the award were listed “the 75% foreign sales, the number of export markets (80), the number of permanent overseas branches (2), the presence of structures dedicated to internationalisation within the company, the presence of non-Italian staff within the company (2), the organization of training sessions on language, the multicultural world and knowledge of the dynamics of international markets”.